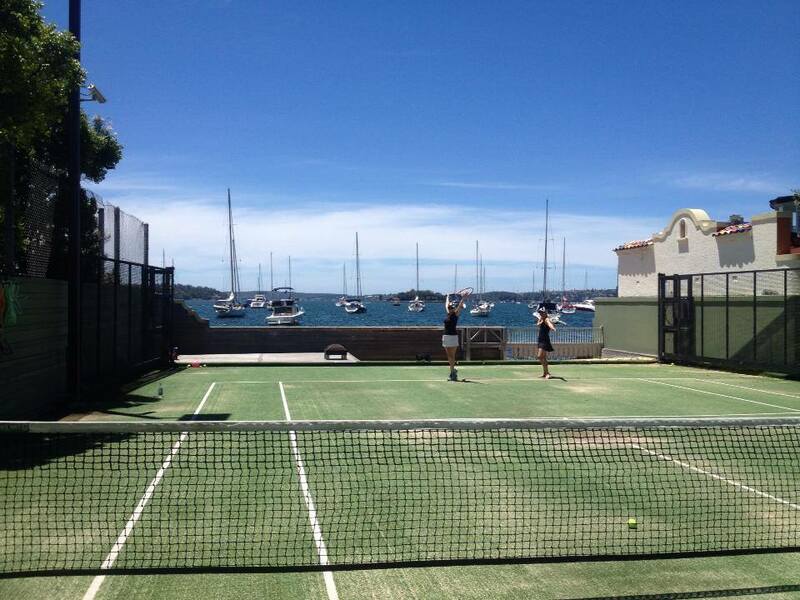 There is an unparalleled luxury than for a property than to have its own private tennis court. The ability to play at a moment’s notice, simply by walking out of your home is a privilege that few people can appreciate. Those who not only enjoy tennis, but basketball as well, often have have at least one basketball hoop for a half-court game also. 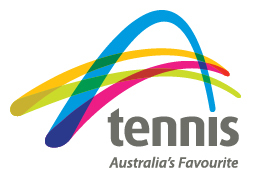 We offer a premium coaching service to home courts throughout Sydney's Eastern Suburbs. Over the past 16 years we have taught at more than 40 home courts in the district and continue to provide this service to many today. 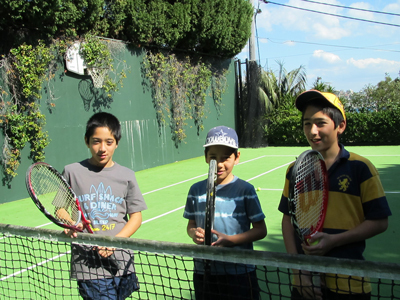 Some homes over the years have had 3 generations of families enjoying this tennis experience making good use of the home courts. These experiences over time have given the players something to look forward to and look back on fondly not to mention good healthy exercise. Sadly it is well known that most home courts are under utilised and often sit idle, you can start using that court again with our help. Enjoy the convenience of having a coach come to you and your family and or friends. Why not take advantage of it whilst enjoying the convenience, privacy and safety of professional tennis coaching in your own home. 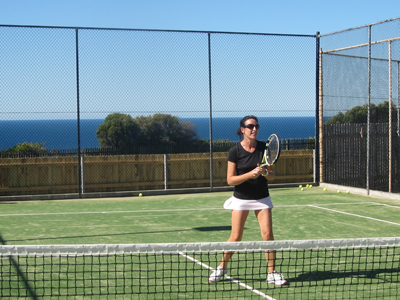 Maximise the usage of your home tennis court with the flexibility of a reliable private coach that comes to you. All lesson rates are per the private lesson rates and terms within this website. Please don't hesitate to contact us with your enquiry. Does your court need maintenance, resurfacing or a complete build? Get the right advice and workmanship from an experienced and professional court builder and have it done right. We can also point you in the right direction for all your courts ongoing needs. Check out our Facebook page www.facebook.com/wentworthtennis to see some of our players, coaches and locations in the photo and video gallery and for more news, promotions etc.